The Prime Minister Theresa May welcomed a 30 year strategic plan to develop the area around the proposed Curzon HS2 station in Birmingham. The Curzon Regeneration Company will be handling the delivery which will invest circa £1billion across the 141 hectare project. I see this a positive step for Birmingham and one of the first large scale efforts to champion the arrival of HS2 and all the economic benefits it can bring. Over the recent years, we have seen the positive impact large scale infrastructure investment can have on areas. Birmingham has already been party to this with the recent new street development. Similar can be said following the projects across London's 2012 Olympic and the St Pancras regeneration. With so much negativity in the media around the recent backing of the three H's (Hinckley, Heathrow and HS2) it's comes as a welcome relief to have a large scale regeneration plan in place on the back of HS2. I'm sure this will be the first of many and having seen some of the proposed architectural concepts for the Heathrow master plan and development, hopefully public perception will start to swing to the positive impact these investments will have from both an economic and cultural perspective. 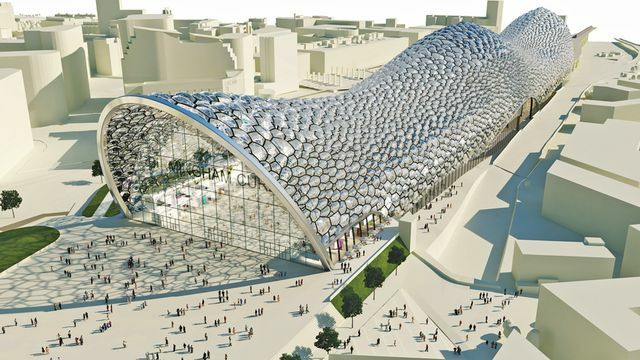 Birmingham has unveiled ambitious plans to maximise the benefits of HS2. City leaders have launched the Curzon Investment Plan, a 30 year strategy to regenerate the 141 hectares of land around the planned HS2 Curzon Street Station. Almost £1 billion of investment is being committed to the project. HS2 will help create 36,000 jobs, 4,000 new homes and 600,000 square metres of commercial floor space. The HS2 station at Curzon Street will form the focus for a regenerated neighbourhood, with houses, offices, shops and squares. Theresa May, Prime Minister, welcomed the plan. ‘I’m delighted that Greater Birmingham is making this investment in the future, working to maximise the potential of HS2 by investing in jobs and housing – and encouraging more business investment.